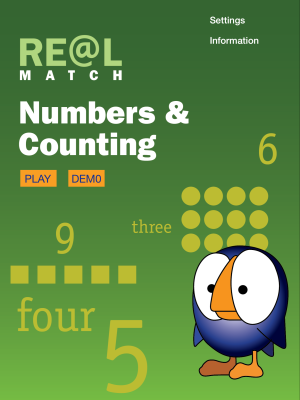 RE@L Match Numbers & Counting will help your child develop important academic skills, such as knowing letters, numbers and shapes. 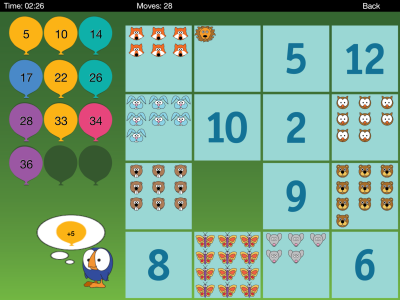 In fact, all RE@L Match apps are fun to play and cover the most fundamental learning and numeracy skills that leading education and child development experts identify as vital to help your child succeed in school. Each game is easy to play. Simply move tiles containing items that belong together next to each other so that one side of a tile is touching the matching tile. Any side will do. 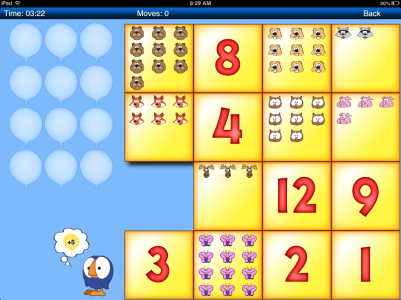 For example, to match the number 2 with a tile showing 2 items, slide the tiles around until these two tiles touch each other. 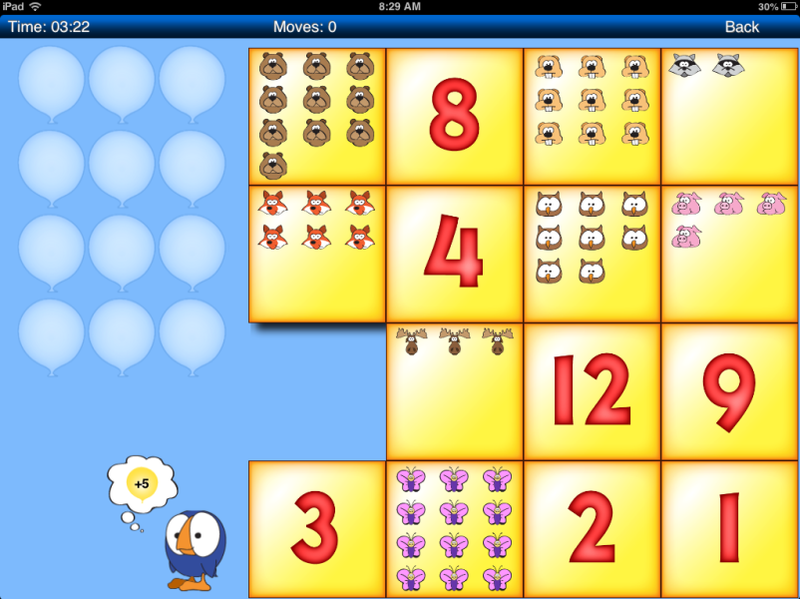 When the correct tiles make contact with each other, a match is made and the score is increased and the game continues. Each game involves making 12 matches. 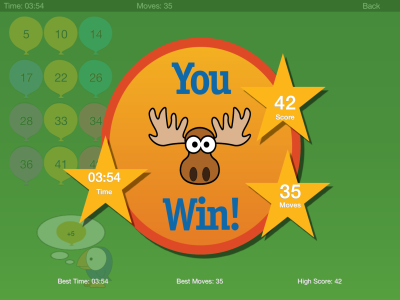 The score is dependent on the number of moves the player makes to complete 12 matches and how quickly the matches are made. A clock measures the time, but there is no time limit. their time and score as they play the games again and again.